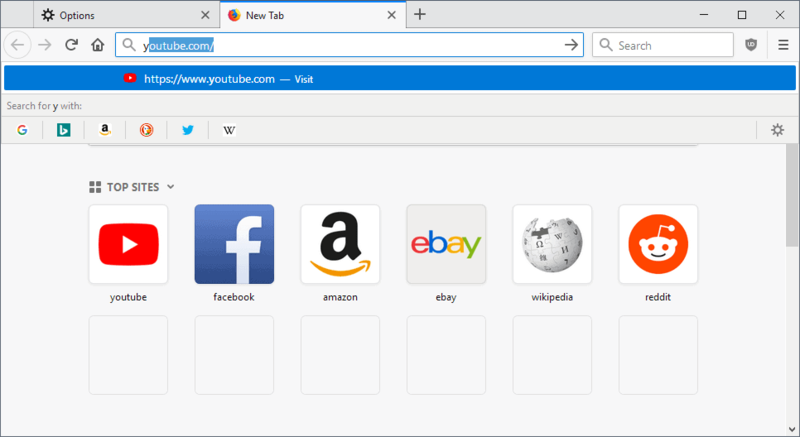 Firefox users who use bookmarks in the web browser may have noticed that bookmark entries are no longer suggested as auto-complete entries in the Firefox’s address bar. The following happens when you type something in the browser’s address bar: Firefox checks for matches and displays suggestions based on those matches. The best hit is displayed as an auto-complete entry so that you can stop typing right away and hit the Enter-key instead to load the suggested resource. Tip: Firefox suggests resources from the browsing history, bookmarks, and open tabs by default. You can change that by loading about:preferences#privacy. Current versions of Firefox, for instance Firefox 62, may not suggest bookmarks as auto-complete suggestions anymore. While bookmarks may be displayed fine in the list of suggestions, some Firefox users noticed that bookmarks are not displayed as auto-complete suggestions in the browser anymore as of recently. It is easy enough to test whether this is the case on your system as well. You need to clear the browsing history of the browser first or make sure you try to get a bookmark suggestion for a bookmark that you never visited before (or since the last clearing of data). Firefox should display the bookmark URL as the auto-complete suggestion when you start typing but due to the bug it won’t do so. It may still be possible to select the bookmark from the list of suggestions that Firefox displays underneath the address bar though but that requires more work on your part than previously. Tip:Check out Bookmarks Organizer to fix broken bookmarks. Some users of the browser reported the bug on Bugzilla to Mozilla. The reports suggests that the bug affects Firefox 62 but not Firefox ESR 60 and not previous versions of the browser. The explanation for this is provided on Bugzilla as well. Firefox uses a threshold for auto-complete suggestions and ignores any entry that has a frequency of 0. In other words: any bookmark that was never opened in Firefox and bookmarks on systems where the user clears the browsing history regularly won’t be suggested. 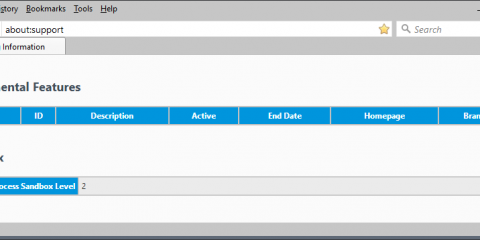 Clearing the browsing history resets the frequency of any bookmark so that it is set to 0 which in turn means that it is not suggested when a user types in the address bar. Mozilla started to work on the bug to fix the issue so that entries with a frequency of 0 are suggested as auto-complete entries once again in the Firefox web browser. The bug should be fixed pretty soon; users affected by it can’t do much right now to fix it. While you could stop clearing the browsing history or start to open all bookmarks at least once, it is not a very practicable solution. 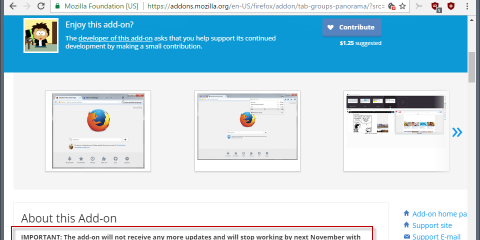 Mozilla announced plans to remove support for live bookmarks recently in Firefox. Affected users can check out the Livemarks extension for Firefox which reintroduces support for the feature. Ghacks needs you. You can find out how to support us here or support the site directly by becoming a Patreon. Thank you for being a Ghacks reader. The post Firefox not auto-completing bookmarks? That’s a bug appeared first on gHacks Technology News.